"Remarkably skilled practitioners. No judging, just healing." 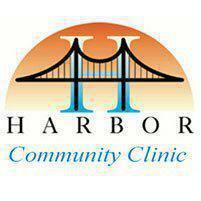 Harbor Community Clinic is a trusted provider of state-of-the-art health services for men, women and children throughout San Pedro, CA, and the surrounding Los Angeles and South Bay areas. The clinic is dedicated to providing low-cost and no-cost health services to residents with low incomes and those whose employers do not provide health insurance coverage. Founded more than 40 years ago on the belief that every person of every age and income level should have access to the best healthcare options available, Harbor Community Clinic is dedicated to providing cutting-edge healthcare services for residents of the San Pedro area, including preventive options like routine, school and sports physicals, immunizations, ob/gyn care, and health screenings, as well as treatment of both acute and chronic illnesses and diseases. Begun as the “storefront” Harbor Free Clinic in 1970, today the clinic features two locations in San Pedro – a general care clinic and a location dedicated to pediatrics. At Harbor Community Clinic, patients have access to a comprehensive array of advanced healthcare options, including physical exams, immunizations, health screenings, management of chronic illnesses like asthma and diabetes, family planning services including birth control options, and screening and care for sexually-transmitted diseases (STDs). In addition, the clinic offers access to psychotherapy and other mental health options as well as full obstetrics and gynecological care and pediatrics services to help children stay healthy from birth all the way through their teen years. The Harbor Community Clinic welcomes new patients from San Pedro and throughout the Los Angeles and South Bay areas, providing skilled, compassionate care in a relaxed setting, and the clinic's practitioners speak both English and Spanish. The NCQA Patient-Centered Medical Home is a model of primary care that combines teamwork and information technology to improve care, improve patients’ experience of care and reduce costs. Medical homes foster ongoing partnerships between patients and their personal clinicians, instead of approaching care as the sum of episodic office visits. Each patient’s care is overseen by clinician-led care teams that coordinate treatment across the health care system. Research shows that medical homes can lead to higher quality and lower costs and can improve patient and provider reported experiences of care. As a Federally Qualified Health Center (FQHC), Harbor Community Clinic is required to report data on patient demographics, services provided, clinical indicators, utilization rates, costs, and revenues. As the medical home to over 6,000 patients annually, we strive to provide our patients with the best care possible. To see our latest performance numbers, click HERE.